Over 17 years experience in residential real estate with thousands of leasing transactions bringing well-qualified tenants to property owners in the San Francisco Bay Area. Twice awarded Leasing Agent of the Year in San Francisco for expertise and high standards of customer service. Comprehensive knowledge of the San Francisco rent ordinances for leasing rent controlled properties. Extensive experience working with leasing new construction properties in San Francisco and the Bay Area. Trained leasing agents, conveying the highest standards of honesty, integrity and customer service. $3775 Newly remodeled! Stunning top floor apartment! $3700 Great Bay and City Views! Parking included. No pets. $2995 Quiet - in the back. Top floor rent controlled apt! $3895 Sunny Mission! Condo-Quality Renovation! Must See! $3795 Near Valencia and 24th Streets! Parking Available! $4010 Charming top floor apartment. Walk to FIDI! $5495 Stunning condo! Top floor! Parking available! $5495 REMODELED TOP FLOOR FLAT! VIEWS! QUIET LOCATION! $7500 Cow Hollow Luxury Condo -- Unfurnished or Furnished! $7995 Stunning Penthouse! Bay and Golden Gate Bridge Views! $4795 Remodeled 2-3 Bedroom condo in the Mission! $5000 Beautifully restored Edwardian flat in Potrero! $6650 3 bedroom 3 bath Brannan condo with spectacular views! $5250 Remodeled top floor condo near USF and Golden Gate Park! $5495 Grand top floor 4bedroom flat in the Mission! $7950 Beautiful 3 level Spanish Meditterranean home! $9500 Beautiful Victorian 4 story home near Buena Vista Park! $25000 Exquisite 6500sf home with Bay and City views! "I have been a sales agent in San Francisco for 20 years. I own my own properties in San Francisco as well as help others buy SF properties for investment purposes. Joanne Fazzino is the leasing agent I use and recommend to my clients whenever a rental situation arises. Although I have worked with many agents over the years, I have found Joanne to be the most knowledgeable and reliable agent I have worked with. She is very efficient and professional. She works hard and communicates with me often regarding the status of the rental once it is advertised - how many showings, how many people came, what they said and who is interested. When someone applies for one of my rental units, she processes the applications quickly and emails me all the details so that I am able to make a decision quickly. We have done a lot of business together over the last 6 years. I have been happy to refer her 6 transactions so far in 2010. I am happy to give my highest recommendation of Joanne to the San Francisco Apartment Association. She is my leasing agent of the year, and deserves to be the SFAA's Leasing Agent of the Year. "We used Joanne Fazzino for our furnished rental and she was fabulous! She was always prompt and professional and had our best interests in mind. When there was a lull in interest she suggested different marketing techniques and pricing options that would still fit our budget but bring in new rental prospects...and it totally worked! The phone was ringing right off the hook! Her years of experience and hard work ethic were invaluable and I would recommend her to any property owner looking for a Rental Agent they can trust. "I am writing to recommend that Joanne Fazzino of J. Wavro Associates be awarded your trophy for "Best Leasing Agent of the Year." My recommendation is based on the excellent service I have received from her in regard to the leasing of my residential income property in San Francisco. In particular, I have been impressed with (1) her knowledge of market conditions at the times I have needed her services, (2) her total dedication to finding appropriate tenants, and (3) her ability to negotiate top-dollar rental rates. What more could one ask for from a leasing agent? I am a very satisfied property owner. "I don't write a lot of reviews, but I have to for Joanne Fazzino. She is an amazing person and listing agent. I found her here on Yelp when I was looking for the right agent to list my apartment with. I had used another company earlier in the year without positive results. I met Joanne on a Tuesday, she had it up on their site immediately. She showed it the next couple days, had an open house on Saturday & it was rented by Sunday. After each showing she called to let me know the feedback and if the person seemed interested. She is professional, personable and has great follow through. I can't say enough about what a great job she did. If you need a great listing agent, look no further, if you are looking for an apt/house to rent look no further; she will work hard for you and brings results. "J. Wavro Associates is great! Joanne showed me a bunch of apartments in different neighborhoods all around San Francisco. She was very helpful and was always quick to return my phone call if she wasn't able to answer. Highly recommended! "We were just out in San Francisco helping our son and his two friends locate an apartment. We dealt with Joanne Fazzino who I found to be a consummate professional. She asked for all the financial info and references that I would expect to be asked for, this was on 7/19 around noon, the next morning around 9am, Joanne let us know that the boys had landed a beautiful apt in a nice section of the city. I can't speak for the people that have posted all these negative comments, but our experience was great. I also read the nasty comments about Joanne in a prior post which I find to be totally off base. Joanne was wonderful and very helpful, she knows the area and completed this action in very short order. I would not hesitate to call Joanne again. 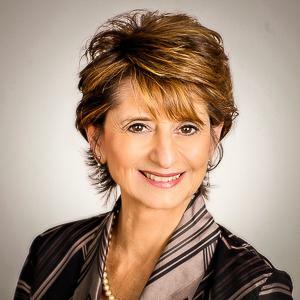 "Joanne Fazzino is J Wavro Associate's rental agent in San Francisco. She has affiliates throughout the Bay Area who she will pull into any housing requirement to help property owners and tenants alike. For the past few years Joanne has been the #1 ranked, top rental agent in San Francisco. She is a real team player and a valuable resource with insights as to what units will rent for, how to improve the return on them and is excellent in screening tenants to avoid wasting time. I have known Joanne for years and have put her in touch with dozens of my clients who have always reported back to me that they had an excellent experience and enjoyed working with her. Always professional, always a tremendous resource for people who want the very best. I highly recommend Joanne and am grateful for how hard she works for her clients. "Joanne Fazzino and her team were the perfect pick for renting out our condo. Joanne was professional, knowledgeable, helpful, responsive, trustworthy, and every other positive adjective you could use on here. Most importantly, she was realistic and expertly guided us through an unfamiliar and, at times, daunting process. She made sure that someone was always there to show our property when the opportunity arose. She also made me feel like finding the right opportunity for our property was more important than closing a deal. She was an invaluable resource in finding the perfect renters, and I highly recommend her as a leasing agent. I will definitely seek her assistance in the future. "Joanne is an outstanding professional in the rental market. She is prompt, sharp, and detail-oriented. In the past three years, she helped us found good quality tenants for our investment property in San Francisco. We are very satisfied with her service and will continue to hire her to be our agent. And needless to say, we will highly recommend her to our friends. "Joanne is a true professional and it is a pleasure to work with her. She is most efficient, anticipates in advance problems that might arise, and solves them. Her costs are very reasonable, she is always available for communications, and she doesn't leave anything undone. She has an optimistic approach and she is very detail oriented - nothing small gets by her. She doesn't leave details up in the air; she is thorough and precise. She is very personable and she knows the real estate process inside and out. I recommend her with great enthusiasm. "I've worked with Joanne Fazzino and her team to lease a rental unit twice. Both times I've been very happy with the service. Joanne is incredibly responsive and and takes care of all the paperwork headaches. But most of all, I was extremely confident in the exposure of my unit, frequent showings and never a problem finding my listing on-line. I highly recommend Joanne and J. Wavro Associates. "I used Joanne Fazzino to rent out a property in SF. SHe came highly recommended by a trusted source and she did not disappoint. Her professionalism and knowledge of the city's rental market are top notch. Throughout the process, she was very responsive and did a great job giving me detailed updates. Her team is also on top of their game as emails poured in and I felt extremely involved in the entire process. Overall, she was a joy to work with! "As a relocation specialist I run into Joanne Fazzino many times since she represents some of the apartments I am interested in showing my relocating clients. Joanne is very easy to chat with and clearly knows her profession's ins and outs. She will tell me over the phone about the apartment and will ask questions about my clients to see if it's a good fit before we make the appointment to make sure it's not a waste of time on any end. She also calls diligently if she is running a little behind and often ask me and my clients how the apartment she represents compare to the other ones we are seeing which shows that Joanne is also a very good professional who will look after her client's best interest. I will definitely recommend Joanne to anyone in the process of finding a realtor in San Francisco. "I contacted Joanne Fazzino of J.Wavro Associates and within one week she found us a tenant for our 2 bedroom furnished apartment. Better than that, the tenant wanted to take occupancy the next day. Joanne was very professional and worked very hard to make this deal happen. I would recommend her to anyone! My husband and I were very happy with her service. "I was recommended to Joanne Fazzino when I was looking for an agent to help me find a tenant to rent my house in San Francisco. I called her, she showed up the next day with an assistant, took photos, listed it the next day (Thursday) on craigslist, showed it on the weekend and texted me on Sunday that she had a tenant who was willing to move in the following Wednesday. Joanne checked the tenants' financial status and checked their references (past landlords). I am sure she also did many other things but the bottom line is that one phone call to Joanne and, BOOM, I had a tenant in record time. She was confident, professional and very responsive. I have already recommended her to a friend of mine and would do so again in a heartbeat. Thank you, Joanne, for being there for me. "I recommend Joanne Fazzino to everyone I know that is looking for a leasing agent. She has helped me, my friends and my clients both find places to live and get them rented. I haven't met anyone who knows the SF residential market better or has mastered their craft more than Joanne. She's pro all the way, and one of the nicest, most sincere people you'll ever meet.